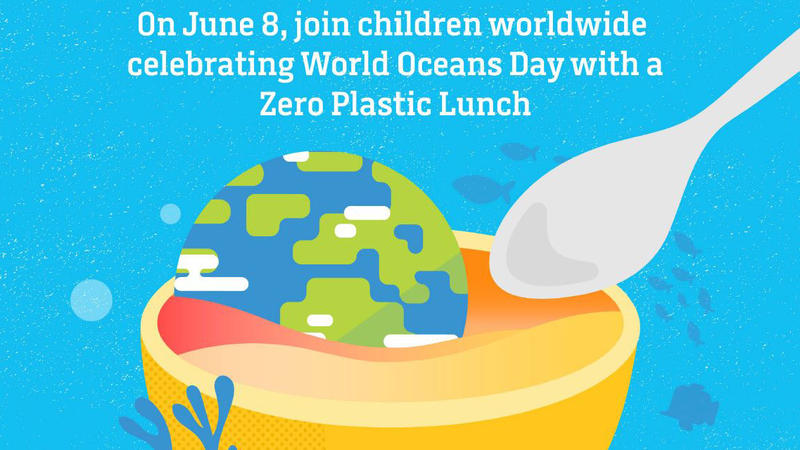 CNN is embarking on a campaign to encourage students to eliminate single use plastics from their lunches for World Oceans Day on June 8th, 2018. The network has created video and text resources for schoolchildren and teachers to outline the issue of plastic waste. Using the hashtag #ZeroPlasticLunch, the children are being encouraged to share images of their normal lunches, and then their zero plastic lunches. These will then be shared on CNN’s platforms. CNN will also be examining the wider issues of plastic pollution and other environmental concerns for World Oceans Day. The network will feature reports from across the world, from Hong Kong to the United States, via Africa and Antarctica, in the run up to and on the day itself. A special edition of the interactive discussion show, CNN Talk with Max Foster, will also debate the issue on World Oceans Day. A dedicated homepage for the initiative is at www.cnn.com/zeroplasticlunch. Every year, the world produces 300 million tons of plastic – eight million tons of which goes into our oceans. More than 40% of our plastic waste falls under the single-use plastic umbrella – that is, plastic designed to be used just once. Sometimes this plastic is used for minutes before being discarded, but it stays in our environment for hundreds of years. As single-use plastics decompose, they release toxic chemicals that damage our natural habitat and harm marine animals. 9 out of 10 seabirds have plastic in their guts. Of all the plastic created, only 9% of it has been recycled. By 2050, the UN predicts that there will be more plastic than fish in our oceans.